During 2018-19 SS, 527 sugar mills were in operation and they have produced 273.47 lac tons of sugar till 15th March 2019. As on that date, 154 mills have stopped crushing and 373 sugar mills in the country continue their crushing. On the corresponding date last year, 258.20 lac tons had been produced with 399 mills operating as on 15th March 2018. 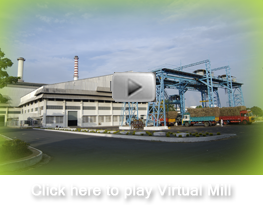 Mills in Maharashtra and Karnataka are closing fast and their crushing season is on the verge of closing. In Maharashtra, sugar production till 15th March’ 2019 was 100.08 lac tons, compared with 93.84 lac tons produced last year same period. In the current 2018-19 SS, 85 mills have closed their crushing operations in the State while 110 sugar mills are still operating. On the corresponding date in last season 38 mills had closed their operations while 149 mills were in operation. In U.P.,116 sugar mills are in operation and 84.14 lac tons of sugar was produced till 15th March 2019, compared with 84.39 lac tons produced on the corresponding date of last year. In case of Karnataka, till 15th March, 2019, 67 sugar mills have produced 42.45 lac tons of sugar. 56 mills have closed their operations in the State while 11 mills are in operation. During the corresponding period last year, 65 sugar mills had produced 35.10 lac tons sugar. Of the 65 sugar mills, 17 mills were in operation as on 15th March 2019 and 48 mills had closed their operations. In case of Tamil Nadu, 29 sugar mills are in operation and have produced 5.40 lac tons of sugar, as compared to 4.33 lac tons produced on the corresponding date. Gujarat has produced 9.80 lac tons of sugar till 15th March 2019 with 14 sugar mills in operation. Last year, 9.10 lac tons of sugar had been produced on the same date. In Andhra Pradesh and Telangana, 25 sugar mills have produced 6.5 lac tons as on 15th March 2019, of which 3 mills have stopped crushing. Last year, 6.40 lac tons was produced on the corresponding date and 14 mills were in operation. In Bihar, Uttarakhand, Punjab, Haryana and Madhya Pradesh & Chhattisgarh, sugar production till 15th March, 2019 has been in the order of 6.65 lac tons,2.95 lac tons, 5.45 lac tons, 4.90 lac tons and 4.75 lac tons, respectively.